The space between the running rails measured from the edge of the baseplates underneath the rails (rail chairs) is known as the ‘Four Foot’ despite not being four foot, on Standard Gauge2 it is 1435 mm (4′ 8 1⁄2″ or 56.5 inches). Wider is generally known as ‘broad gauge’, and narrower is ‘narrow gauge’3. The space between adjacent running lines of a two track railway. Where there are more than two tracks, the distance between pairs of lines is usually greater than six feet. 10ft is the central space between adjacent pairs of running lines on a four track railway. this may actually be less than the six foot. The area either side of the railway immediately off the ballast shoulder. This usually provides a safe area for authorised workers to stand when trains approach. The load (which may be anything) when placed on a wagon must be within the static gauge line for the D1 gauge. When the vehicle negotiates curves, the load must remain within the adjusted (for overthrow) gauge line for the gauge. 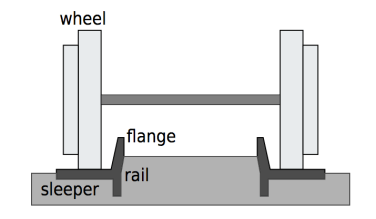 The wagon itself must remain within the gauge lines (bogies and bodies are considered separately as bogies have less dynamic movement than bodies). The bogies must have the same characteristics as those defined for the gauge. Based on The V/S SIC Guide toBritish gauging practice. The image to the above 4 shows the main parts of a freight wagon, including labelling the Headstock, and the Solebars. 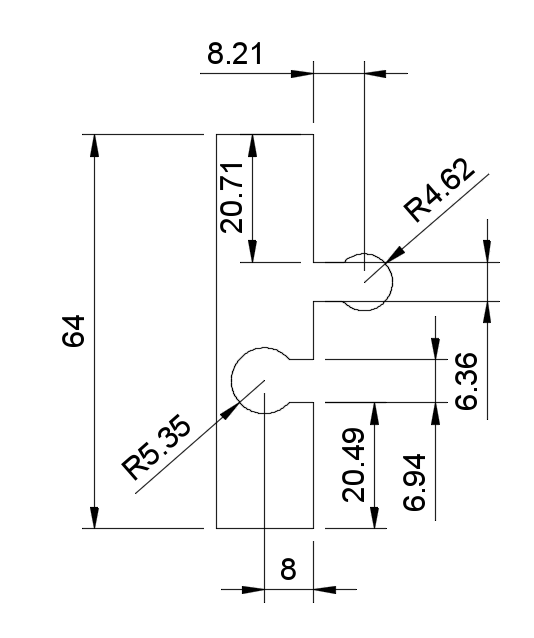 The Cant rail5 is not shown on this diagram6. 4s x 1.5d (64 x 28.8mm) from the top of the flange way (to top of solebar). 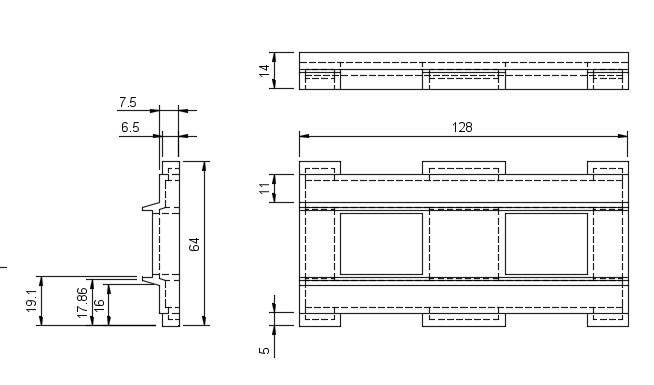 Maximum rolling-stock wheel base should be limited to 8s (128 mm) long, Lego rolling stock is available in flat trucks of 4×2, 6×2 8×2 and 8×4 studs. From top of solebar 4s x 3d (64 x 57.6mm) to cant rail, then 2s x 1/2d (32 x 9.6mm) centred above cant rail. From top of solebar 8s x 3d (128 x 57.6mm), with 6s x 4d (96 x 76.8mm)above. D2 compliment rolling stock shall be constructed should be designed to fit in a 8s x by 8s footprint, however at 8s wide may have issues with parallel tracks. 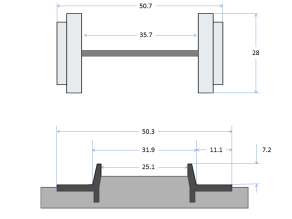 The difference between the structure gauge and the loading gauge is called the “clearance”. The amount of clearance between the loading gauge and the structure gauge depends on the speed of the train, due to the train wobbling, so a train may be able to get past a restricted clearance by travelling at slow speed. This is not necessarily explicitly about MOCs, however talks about basic concepts that I find useful. Image from Goods & Not So Goods – An overview of railway freight operations for modellers (here).